(see the panel at left, and also the Deadlines page). There is no charge for publishing information from community groups or individuals. We only charge for commercial advertising. Items may also be handed in at the address above. It would help us enormously if contributors could follow the suggestions below. We have a huge amount of material to turn around in a short space of time each month. Following the tips below will help us to avoid mistakes, make the best of contributed items and improve the look of the Newsletter. Give your name and phone number or e-mail address so that if we have any queries about your contribution, we can contact you. Send your contribution in good time! If you already know what you want to say, please don't leave it right up to the deadline. We are very grateful to those who send their contributions early. They keep us sane. And we can make a better job of making their item look nice! If you are contributing something for a club or organisation, please try to give contact details as part of your article, so new people can join or find out more about your organisation. There is little point telling people all about what you are doing if you don't want or need new members. Size: For most clubs and societies, 200 to 300 words should be sufficient for your report. Some busy clubs might justify 500 words, but please don't send anything longer than that. The longer your item, the more likely it is we will have to edit it for space reasons. It might be better if you choose how to keep it down to size. Use a decent sized piece of paper! Little scraps are easily lost. Leave a good margin all around. Write or type on one side of the paper only. If sending a submission on behalf of an organisation, please put the name of your organisation in the Subject line of your email. (Or you could state in the Subject line the appropriate section of the Newsletter for your item, e.g. Sport). If your contribution is more than just a few lines of text, please consider sending it as an attachment to your e-mail. This is especially useful if it contains information that needs to be laid out, such as results of a competition. 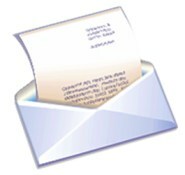 It is easier to handle the text from an attachment. We prefer attachments to be in Word (file name ending in ".doc" or ".docx") or in Rich Text Format (file name ending in ".rtf"). We may have difficulty reading other formats. We welcome photographs to illustrate items in the Newsletter, space permitting. If you have a photograph that you would like to accompany your contribution, please send it to us as a JPG attachment. Please do not send photographs embedded in Word documents. We can't promise to include photographs, but will do our best. Photographs need to be clear and sharp. Supply your name and address. Letters will not be published unless the sender's name and address are supplied and they are prepared to have them published along with their letter. If you are sending a letter by e-mail, please give your "terrestrial" address as well. Letters should be polite and truthful and not contain matter which could cause legal proceedings to be taken against the Newsletter. We prefer letters to be less than 300 words. Please do not send anything longer than 500 words.